God wants to share His rule on David’s throne with you forever. But that unparalleled reward will be given only to those who courageously support His Work today, preparing for the imminent return of Jesus Christ. 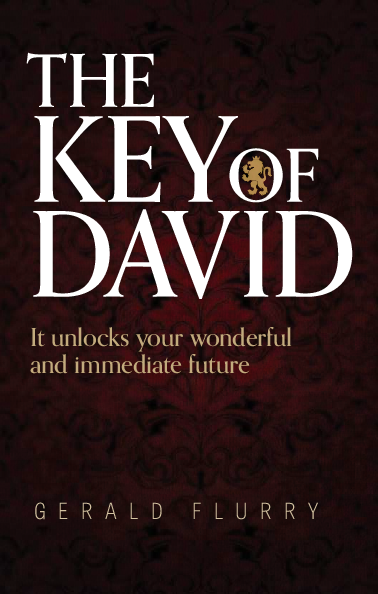 We named our television program The Key of David. We did so because this key unlocks the greatest vision in the Bible. Christ is the King of kings and Lord of lords. Those kings and lords (or priests) under Christ will be the people who embrace the key of David vision—before Christ’s Second Coming. They will be given the highest positions that ever will be offered to any human beings. They will share David’s throne with Jesus Christ. Their rule, under the Father, will extend over the Earth and the universe forever. Those kings and priests will help the Father and Son bring billions of people into the royal Family of God, which will include most human beings who have ever lived. Understanding this vision will motivate you to overcome your trials and tests—and rejoice as you do so!